Dwan “Po” Caldwell, 6’8″, 245, power forward has all of the skills and size to be playing D-1 basketball now. No questions asked. There is more however to playing D-1 college basket than size and skill. “Po” started games for AVC and was dominate. He also has periods during the year where he was very inconsistent both in preparation for and during the game. The is a pivotal basketball year for for Dwan. He has phyical and basketball skills to play D-1 college basketball and ultimately a shot at the pro level. The question that will be answered this year is whether he will be able to balance his non-basketball responsibilities with his college basketball life. A very big question. 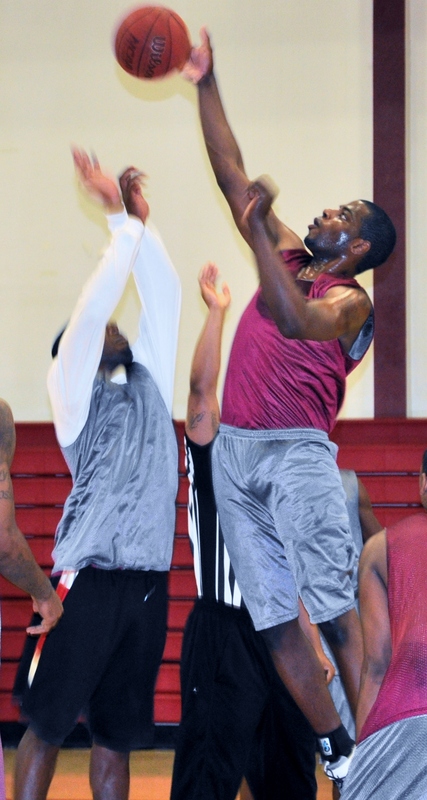 If he is able, AVC will have one of the top big men in JUCO basketball. It was a great summer for Dwan. He dominated the paint in the seven games he played in the summer showcases. He was invited to the Las Vegas All-American Showcase where he wowed the D-1 coaches with his skills in the paint; rebounding, put-backs, defense and mid-range shooting. He might just be the top power forward in JUCO land California. Dwan was awarded a full-ride scholarship to D-1 Tennessee Tech University. Top PF in JUCO Cal this year.